Submitted by Symphony on 2019-01-26 14:19. 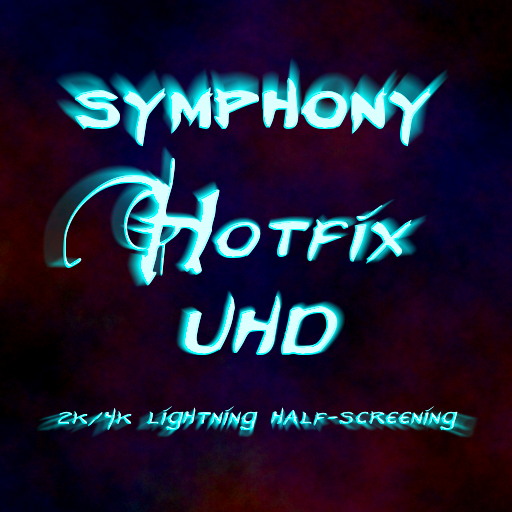 This download contains an override folder with a compiled .mdl file (pnl_lightning.mdl) for the "hardcoded" flash that accompanies the light node animation and thunder of the stormy weather effects. This model originally contains a single rectangular plane originating in the bottom left corner of the screen with a height and width 2x the size of a 1024x768 screen resolution. It uses GUI positioning (1:1 pixel ratio facing the camera at all times), and is textured by a pure white 4x4 texture called "gui_lightning". 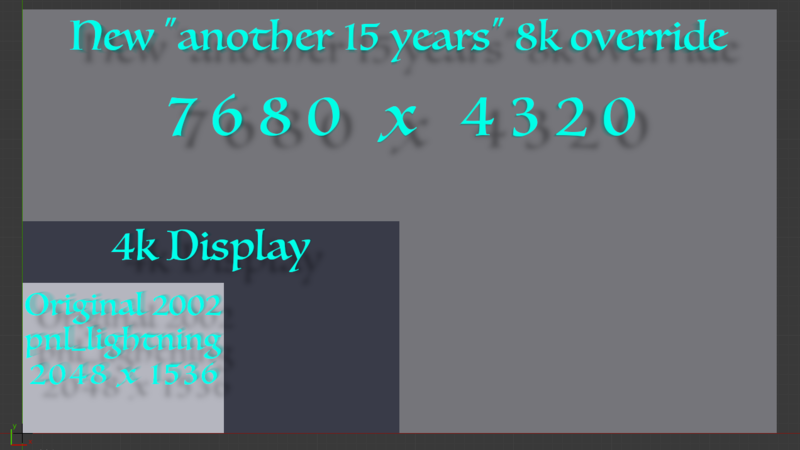 With the advent of larger computer resolutions, specifically with the release of EE, this now 2048 pixel wide white rectangle cannot cover the whole screen for players with much larger than 1920x1080 desktop resolutions. Instead of moving the top left, top right, and bottom right corners out to encompass a large enough area to fill a 4k resolution (see image), I have taken the liberty to reposition them such that the rectangle will also fill an 8k resolution, which should be large enough for most gaming monitors for a number of years yet. Since it still uses the 4x4 pure white texture, this should have an entirely imperceptible impact on performance, while the model is rendered, which is only for a second or so during each lightning strike (those screenshots were not easy to capture). I will have to check this out.